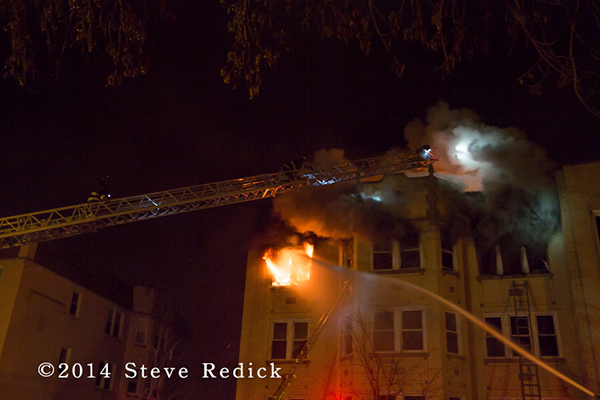 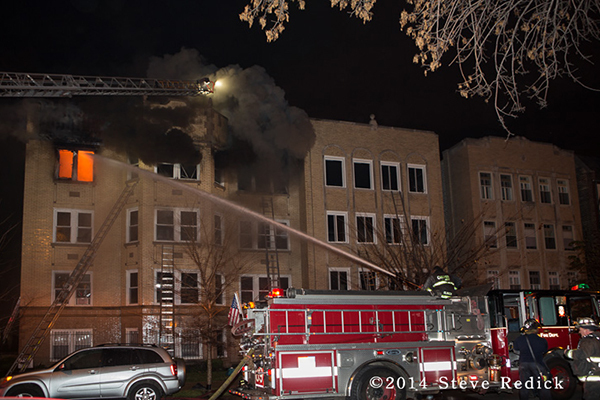 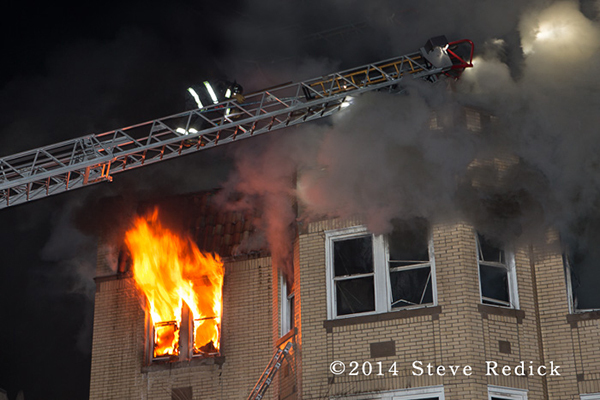 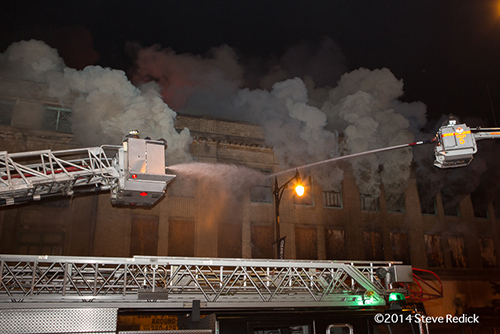 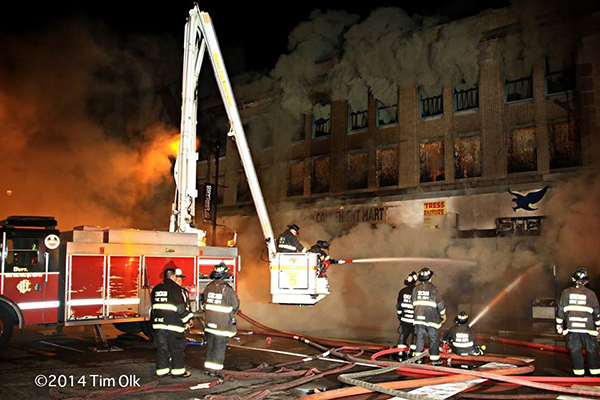 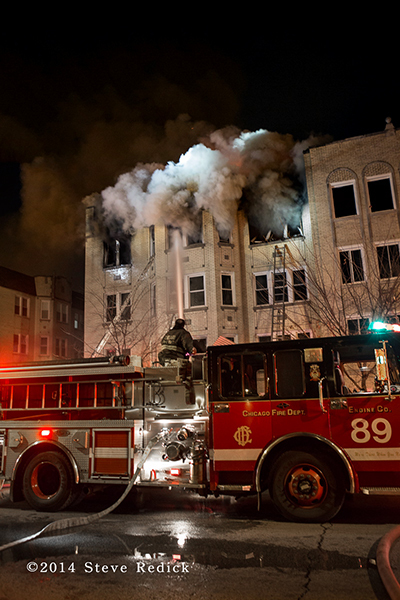 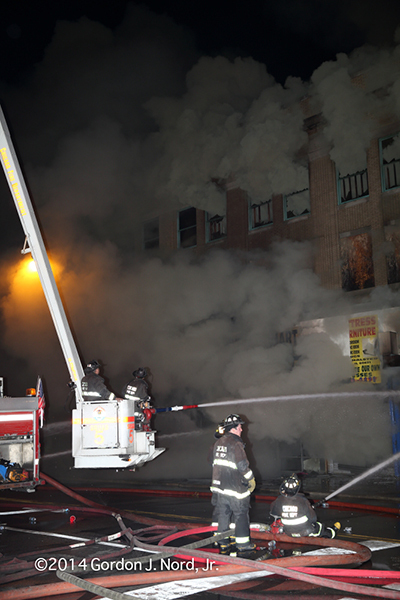 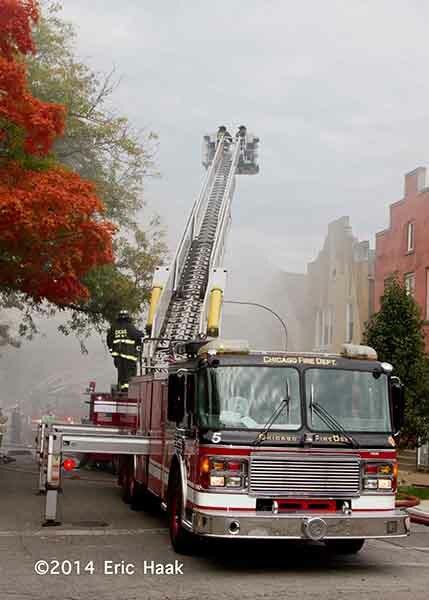 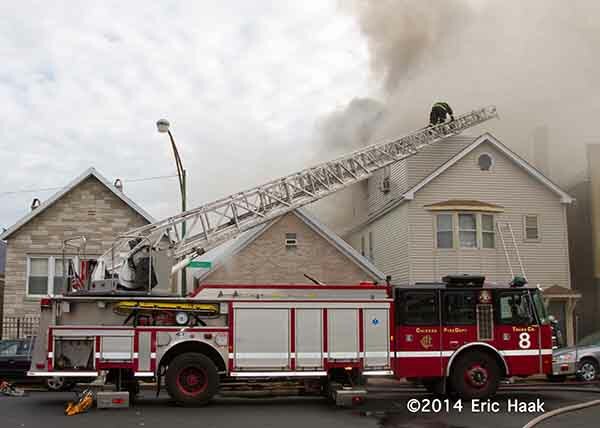 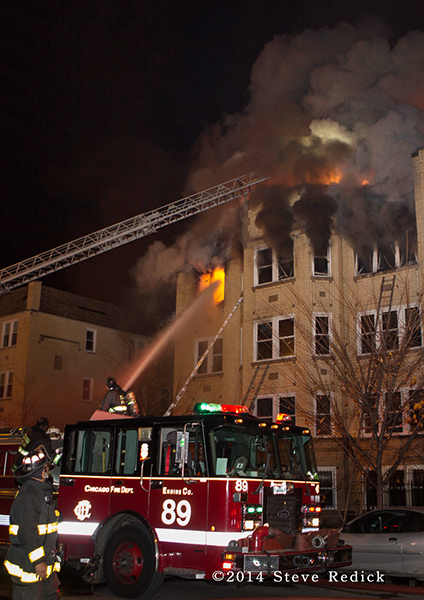 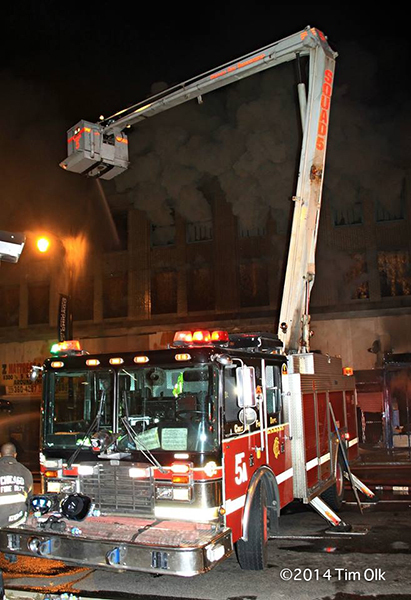 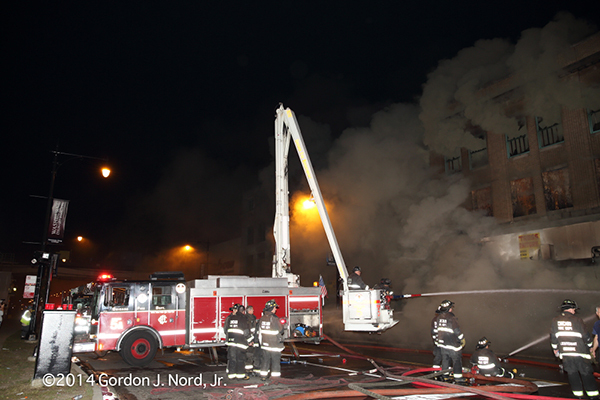 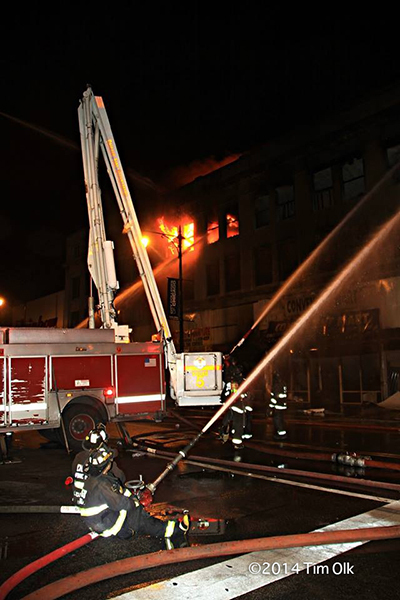 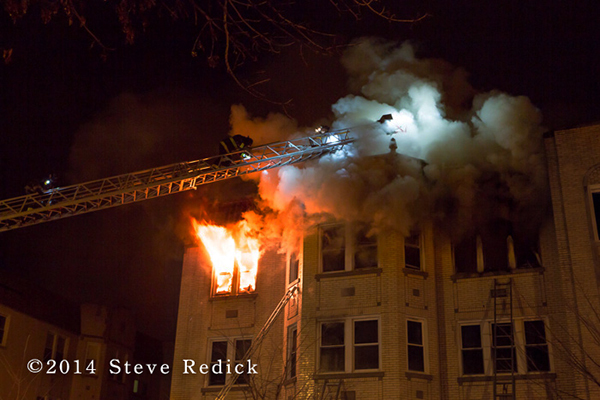 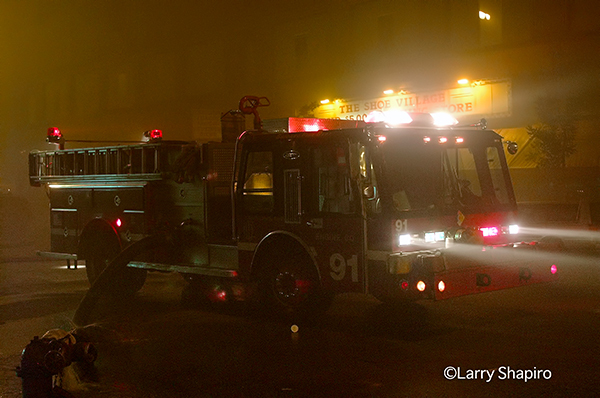 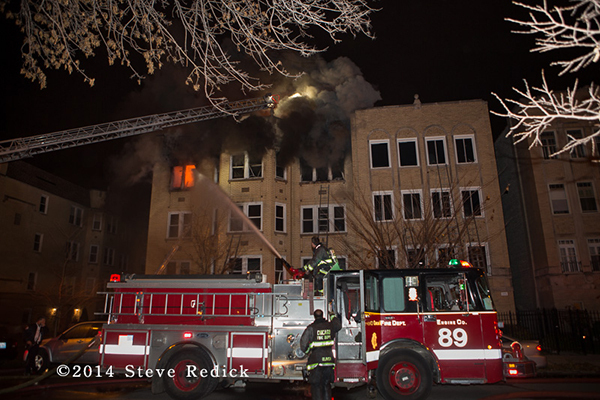 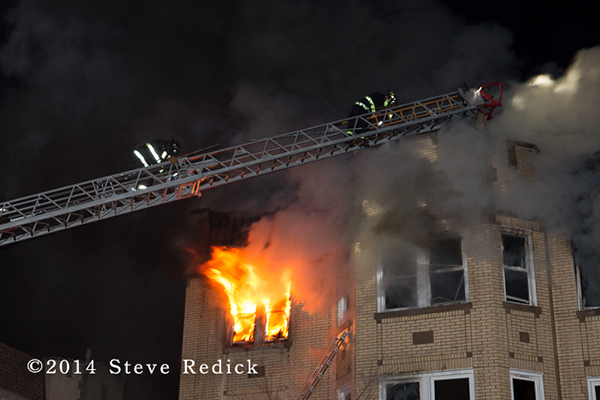 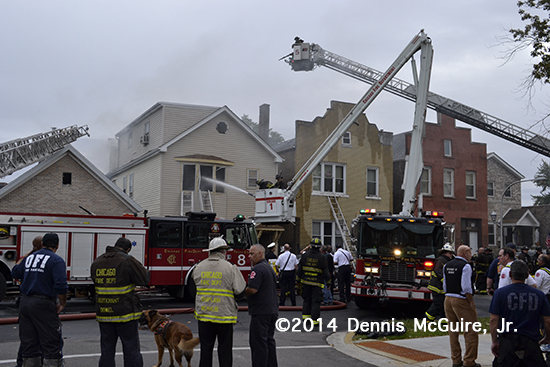 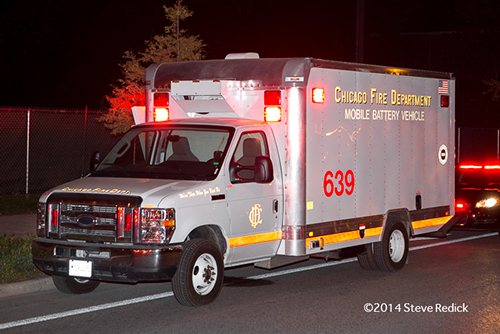 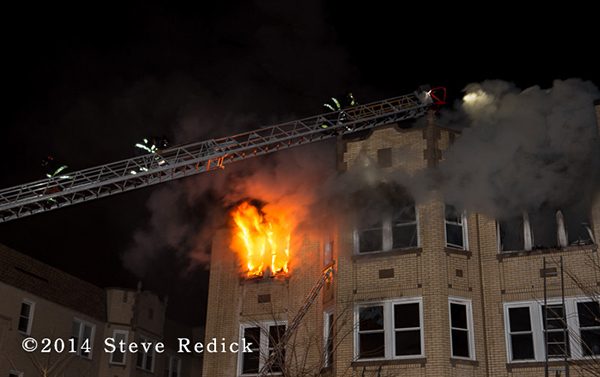 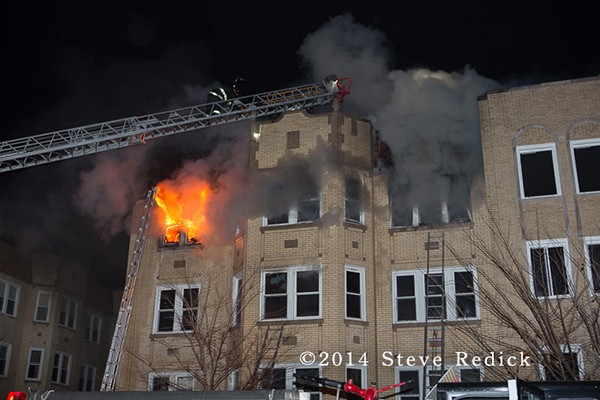 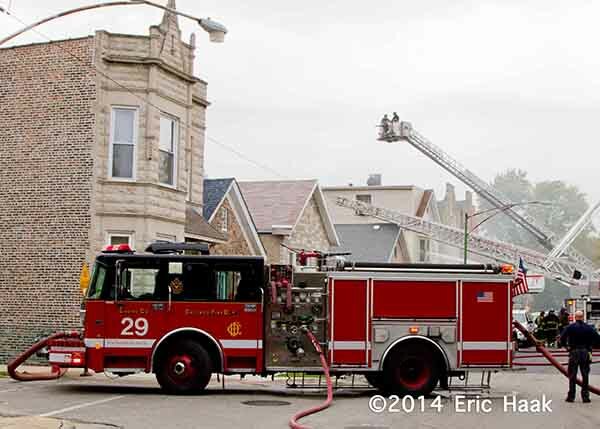 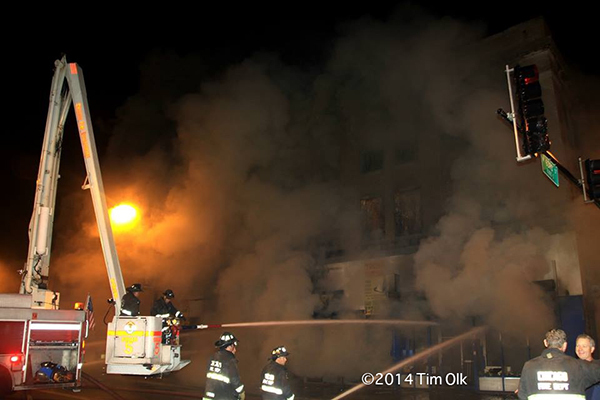 Photos by Steve Redick to go along with the video of Chicago’s 3-11 Alarm fire at 5727 N. Kimball on 11-9-14 that claimed one life and injured several others. 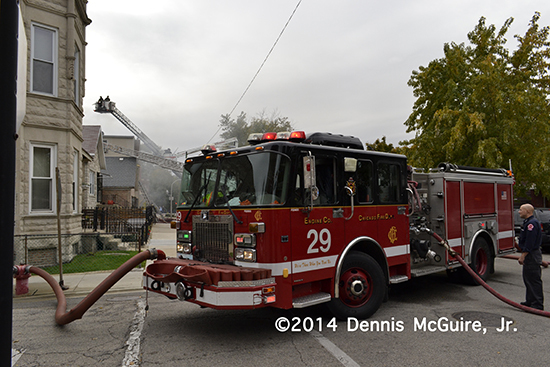 Still time was 1432 hrs followed by a still and box alarm at 1434 and a 2-11 at 1443. 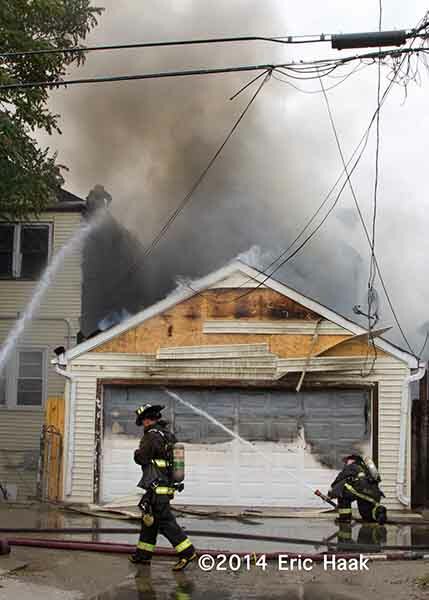 Companies had fully-involved back porches of a 2.5-story frame that had communicated to exposures on both sides and the alley garage. 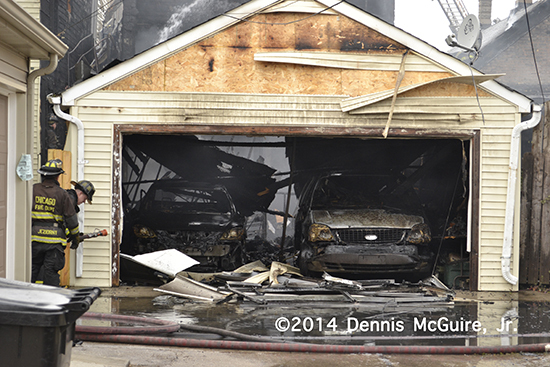 Exposures were a 2.5-story ordinary on side D and a 1.5-story ordinary on side B. 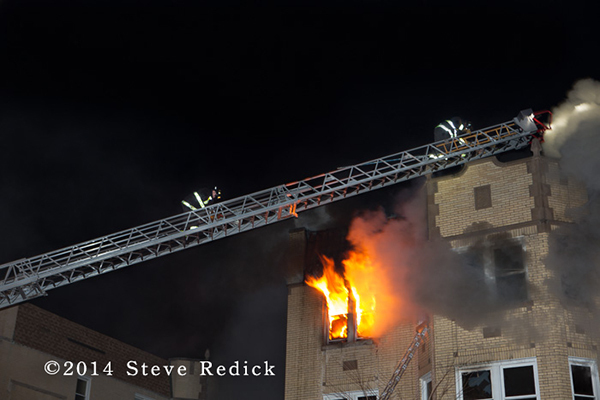 The side D exposure also had a frame back porch addition. 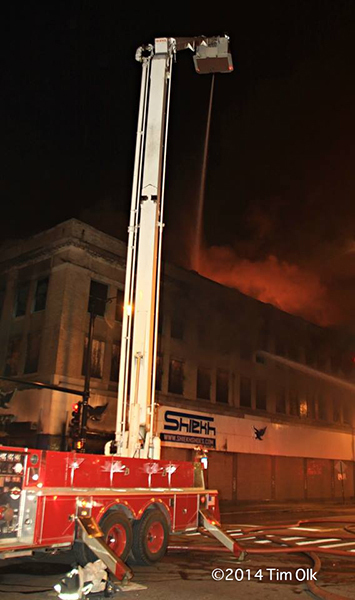 A mayday was called when a company became trapped by rapidly advancing fire conditions which elevated the alarm to a 3-11. 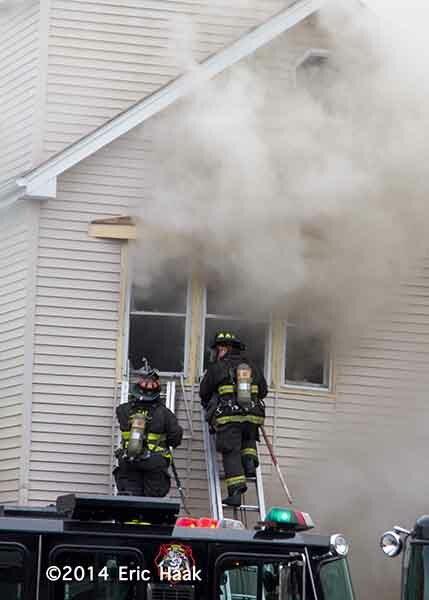 Eventually there would be a second mayday as well and two firefighters were transported from the scene in yellow condition. 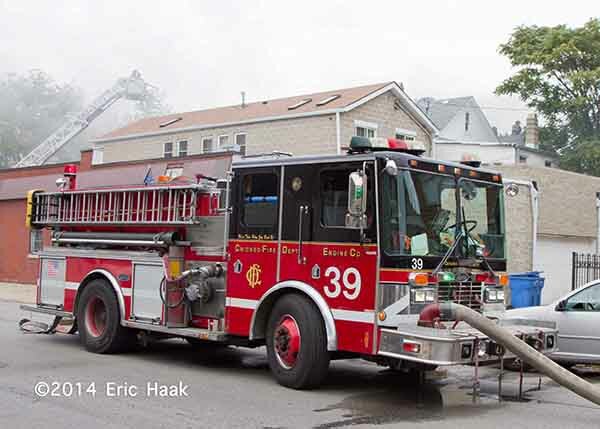 Engine 28 was pumping in sector A, Engine 39 at the entrance to the alley on Loomis Street, Engine 29 at the corner of Lyman and Ma Benton Lane and Engine 8 on Bonfield Street. 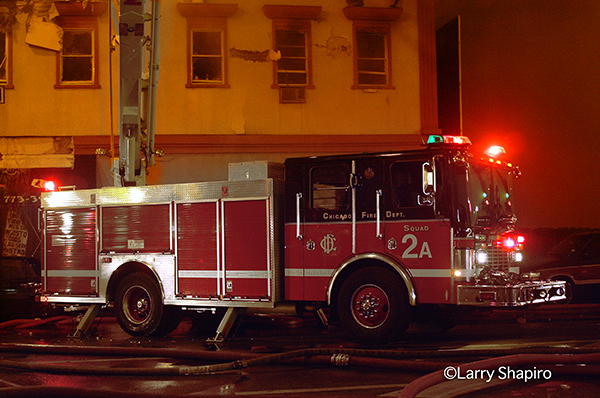 Tower Ladder 5 was set up but I don’t believe it was ever used. 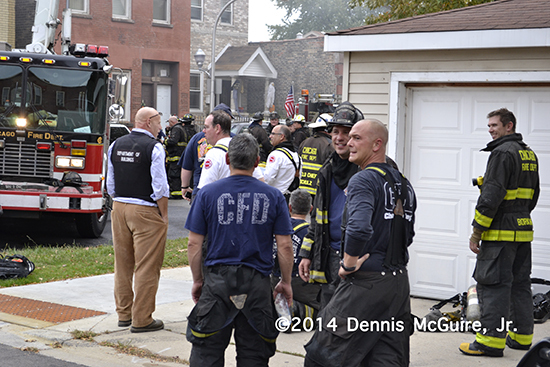 Squad 1A was brought into sector A and did go to work on the attic. 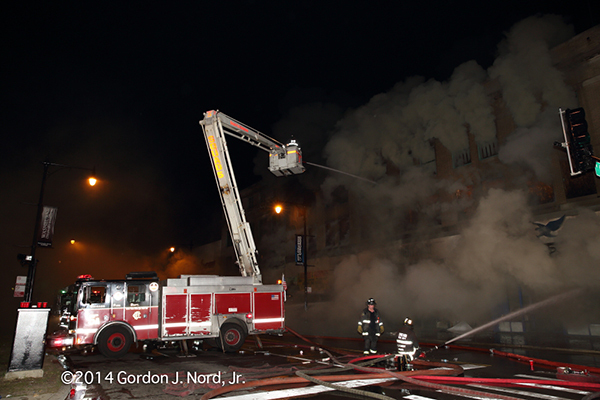 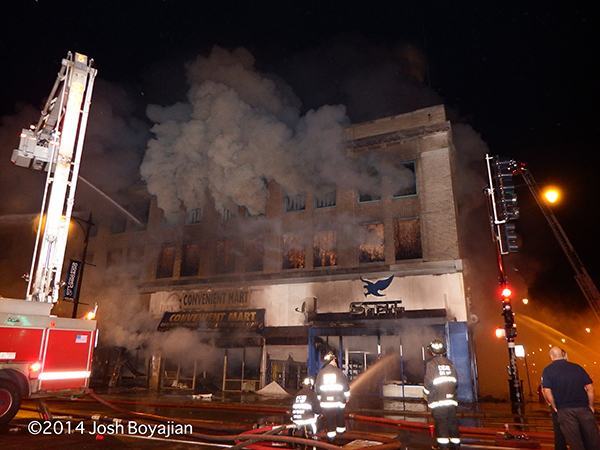 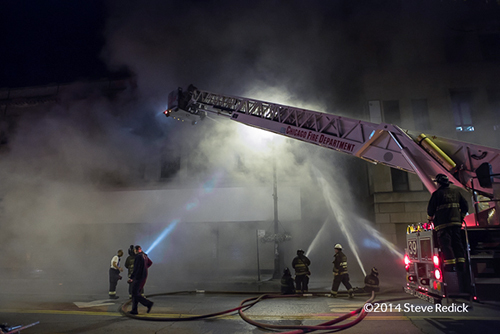 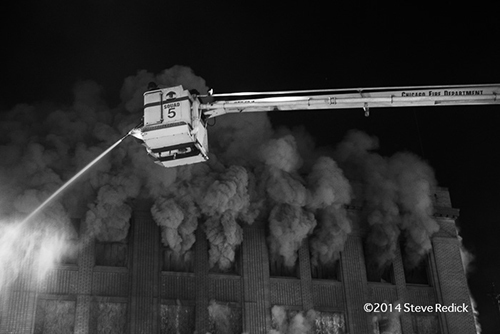 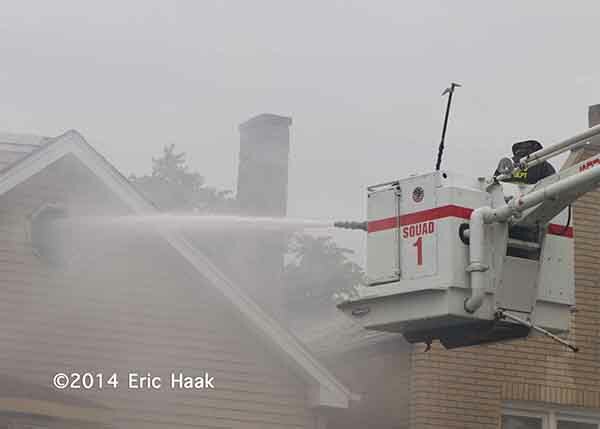 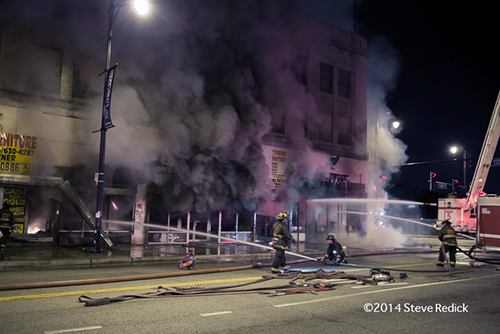 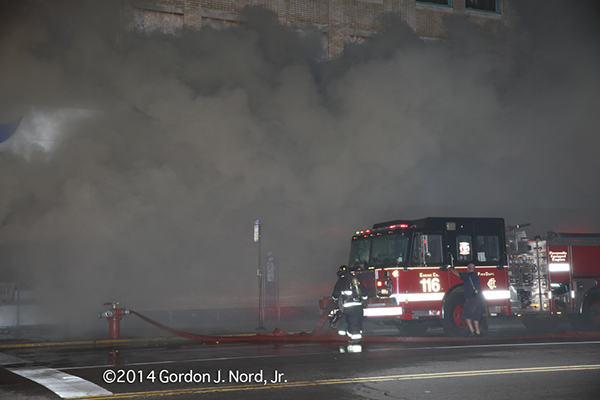 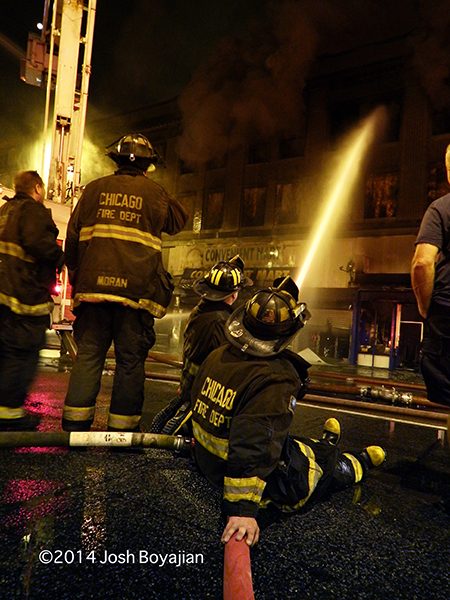 More images from the 3-11 Alarm fire in Chicago on August 27th. 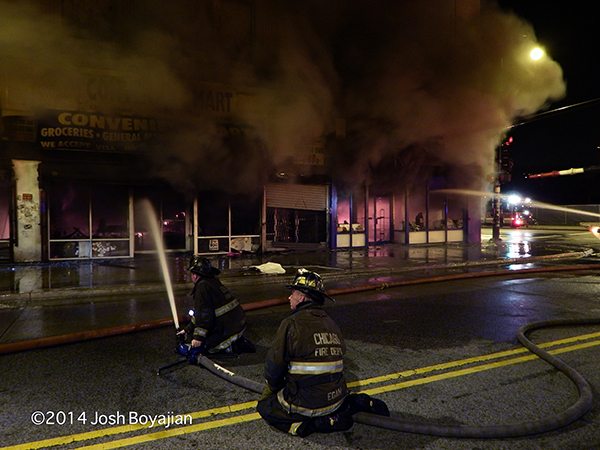 These are from Tim Olk and Josh Boyajian. 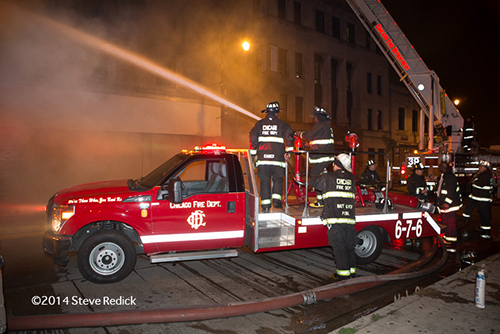 Chicago rolled up on fire in the basement of a 100×200, three-story, residential (and vacant) over retail late Wednesday night. 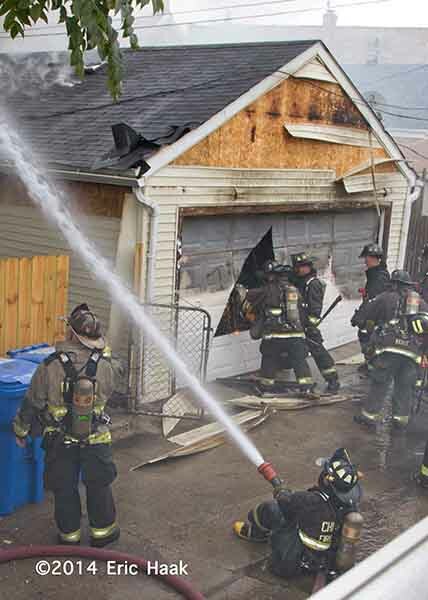 The basement was fully charged and companies were pulled out before they could initiate an attack with high-expansion foam. 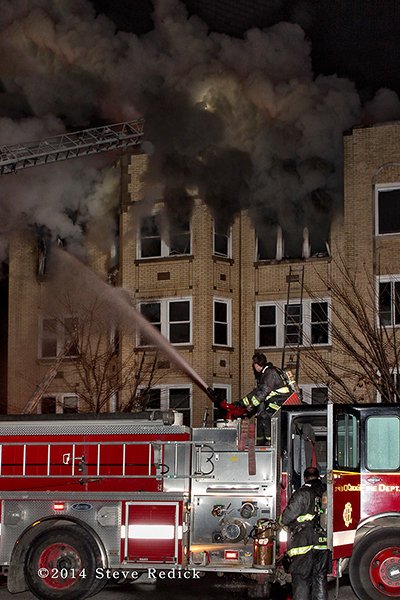 The fire went to 3 alarms and required companies to stay on the scene for another day. 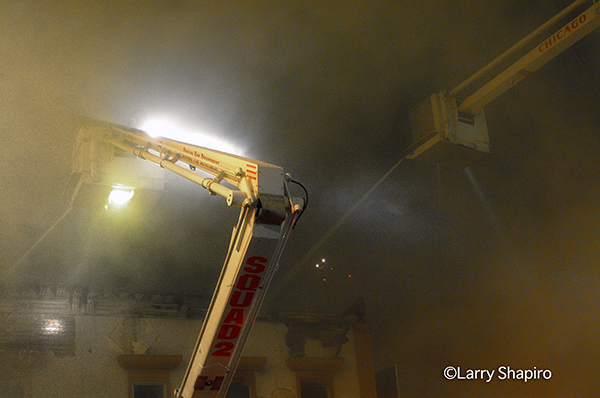 Several area photographers were at the scene and there will be a few posts with images. 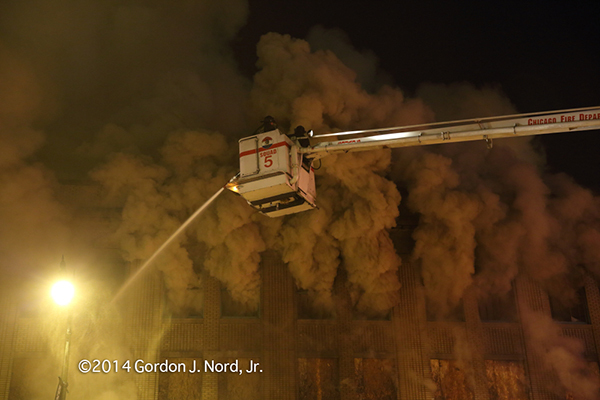 These are from Gordon J. Nord, Jr. and Steve Redick. 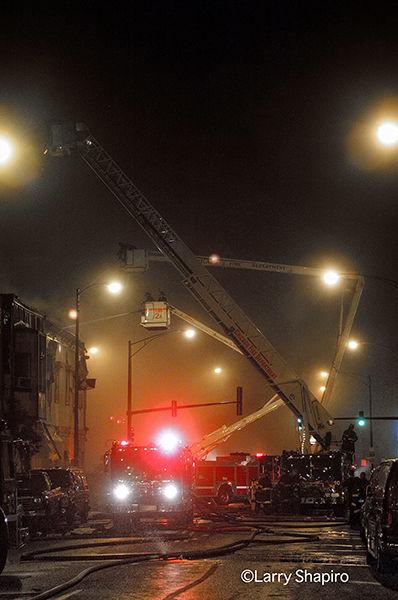 These images are from a 3-11 Alarm fire at 1974 N. Milwaukee Avenue in Chicago on August 15, 2001. 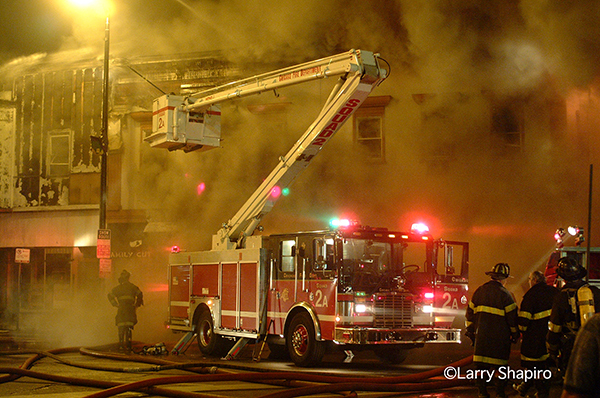 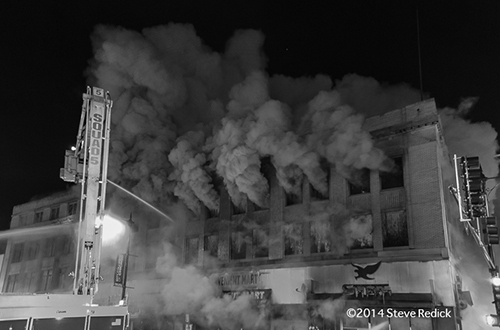 This was perhaps the first fire that I shot using a digital camera.